Air testing is essential for safety when using compressed breathing air. Air test kits can be sent directly to the customer or one of our trained service technicians can come to you. 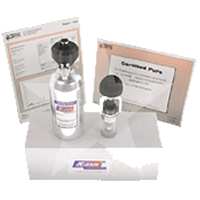 The air test kit is then sent to a certified lab where it is analized in accordance with government standards.